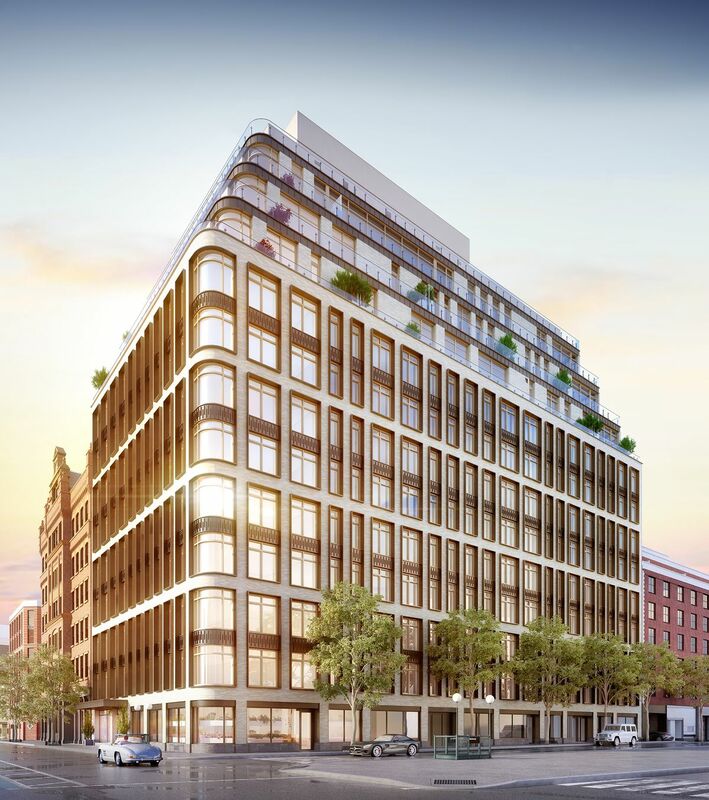 Construction at 40 Bleecker Street has now topped out twelve stories over NoHo. 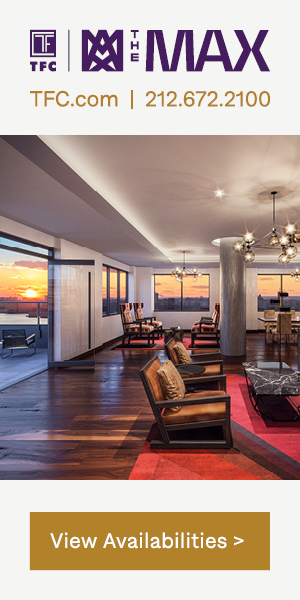 Designed by Rawlings Architects and developed by Broad Street Development, the new project will house 61 one- to five-bedroom units. 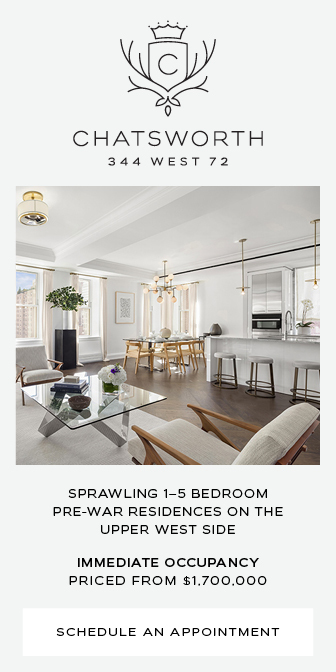 Sales have commenced and listings have launched for 40 Bleecker Street, in NoHo. 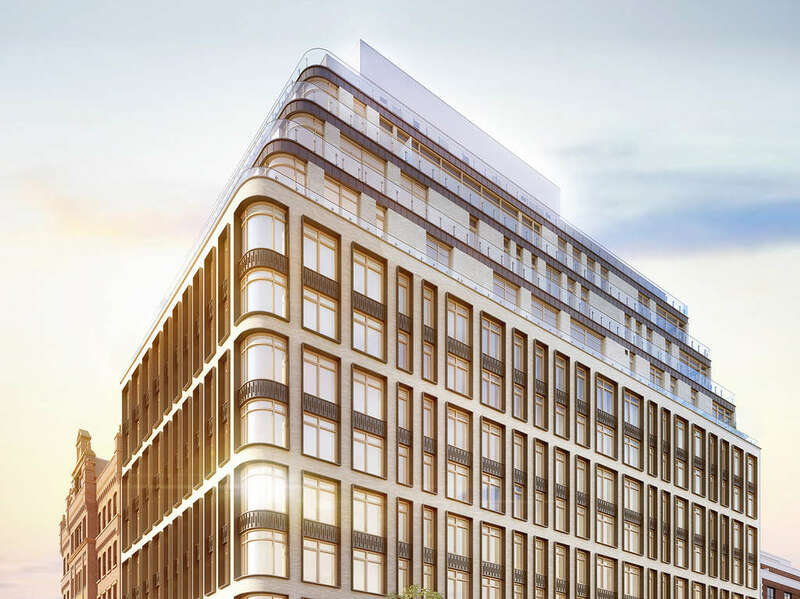 Simply dubbed ’40 Bleecker’, the new building will bring 61 new residential units to the neighborhood, which rarely sees developments of this scale. 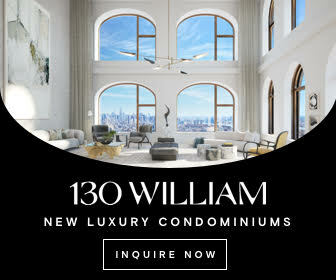 Financial District-based Broad Street Development has filed documents with the state Attorney General’s office that details the offering plan for its 12-story, 61-unit mixed-use project at 308 Mulberry Street, located on the corner of Bleecker Street in NoHo. The estimated sellout was valued at $288.5 million, The Real Deal reported. 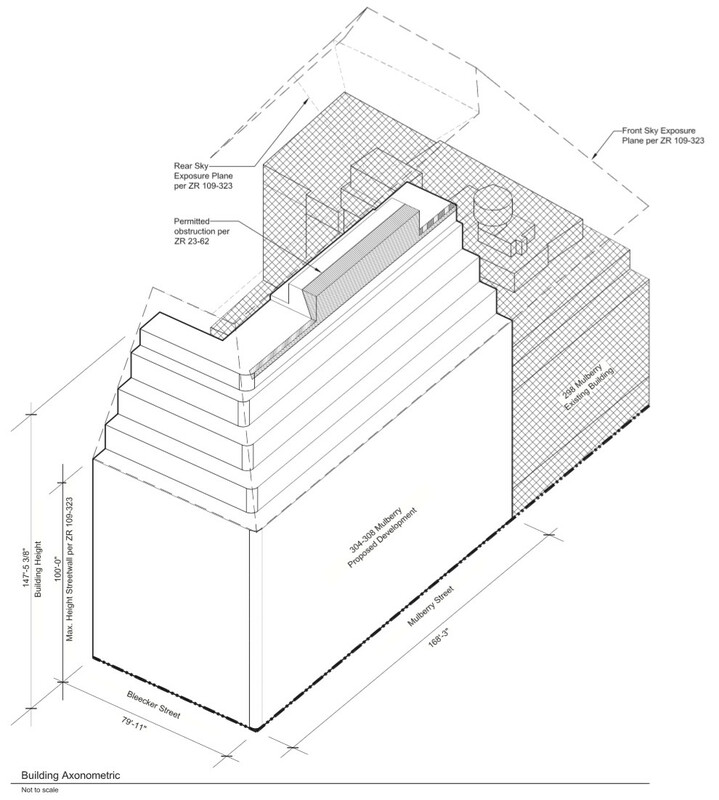 The latest building permits, approved by the Buildings Department in August, indicate the new building will encompass 182,166 square feet and stand 147 feet to its roof, not including bulkhead elements. 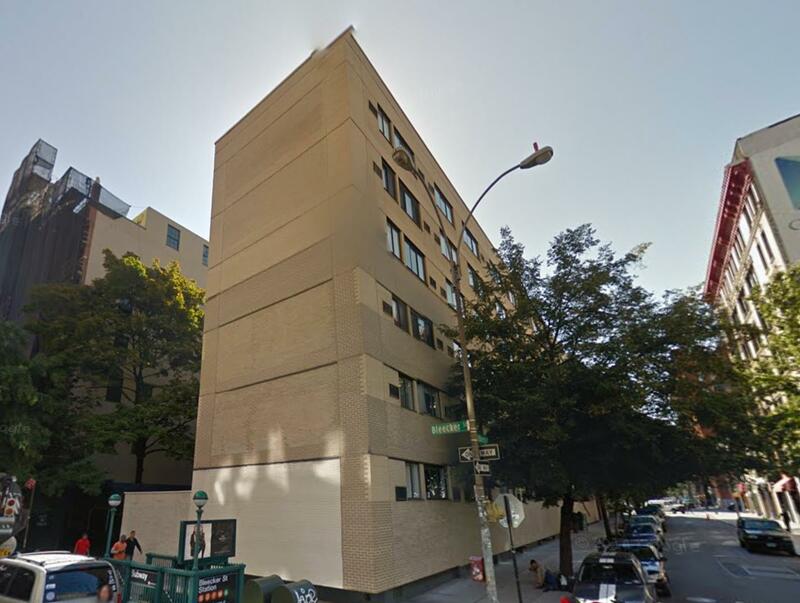 Broad Street Development has filed applications for a 12-story, 58-unit mixed-use building at 308 Mulberry Street, in NoHo, steps away from the 6, B, D, F, and M trains. The building will measure 103,372 square feet, and will include 11,041 square feet of retail space on the ground floor. 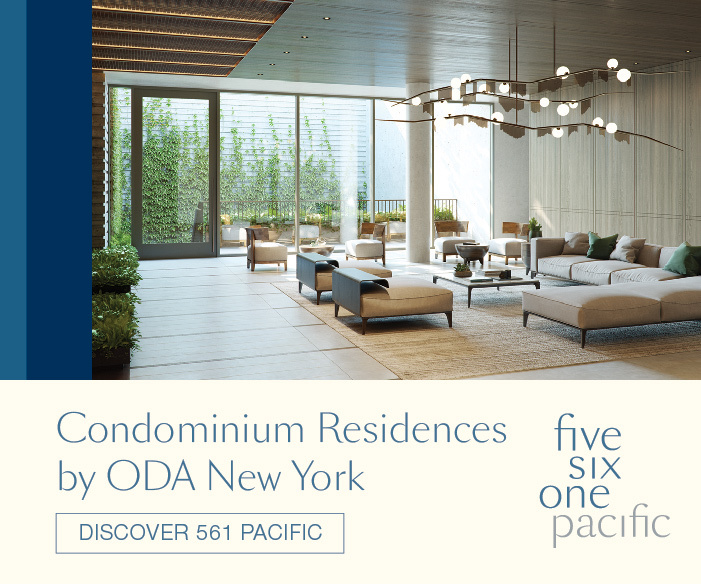 Residential units will average a spacious 1,592 square feet, indicative of condominiums. 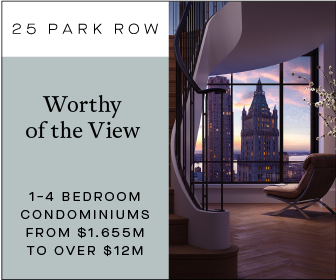 Rawlings Architects is the architect of record, and the developer acquired the existing six-story building (with 298 Mulberry Street) for $178.5 million earlier this year.